Dandruff is a common scalp disorder which occurs in up to 50% of the population around the world. 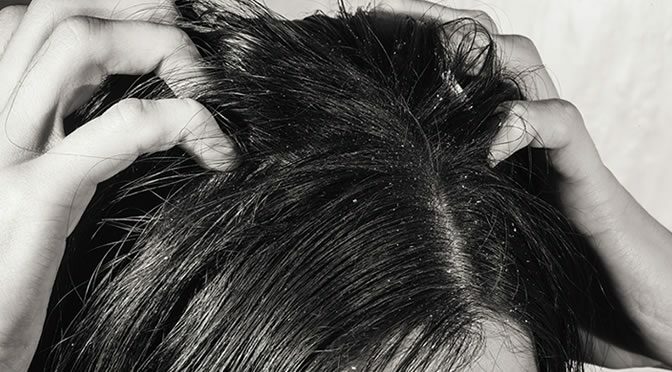 The formation of dandruff has been studied for years but researchers have different views about the reason for this disorder. Previously scientists thought it was caused by sebaceous glands on the skin producing oily matter called sebum and a fungus called Malassezia. The fungus feeds off the sebum. The level of sebaceous secretion increases throughout the teenage years and reaches its highest level from age 15 to 35. The secretion rate is higher in men than women but certain physiological conditions can affect the scalp micro-environment, including moisture, which changes the microbial flora. A new study, however, suggests that a flaky scalp may be made in a different way. The study found that the Malassezia fungus also lives on the scalps of people who don’t suffer from dandruff. Instead, these researchers believe that the most important factor is bacteria and not the fungus after all. Propionibacterium and Staphylococcus are the most common bacteria living on the scalp. These two can balance each other out by restricting each other’s growth. The oily secretion of the scalp is a good food source for Propionibacterium and moisture on the skin provides the right environment for these bugs to grow. The study was published in Scientific Reports (Xu et al., 2016).